This article first appeared as a blog on the GSMA website. In February this year, we announced the 15 start-ups from across Asia Pacific and Africa* selected for the second round of the GSMA Ecosystem Accelerator Innovation Fund. As our work with these 15 start-ups (funding, technical assistance on mobile operators’ collaboration, mobile industry expertise) reaches the six-month mark, we wanted to share with you some of the main developments on each of them. After the announcement of the Round 2 cohort during Mobile World Congress 2018, the 15 newly selected start-ups from 12 countries across Asia Pacific and Africa all gathered for our second GSMA Ecosystem Accelerator Bootcamp held in Singapore in early April. The objective was to strengthen our newly expanded community of start-ups by providing them with an avenue to meet and connect. The event was a perfect occasion to acclimatise our newest cohort with our programme and the GSMA. It also helped to connect our portfolio start-ups with the GSMA’s mobile operator partners, as well as the investors we invited. 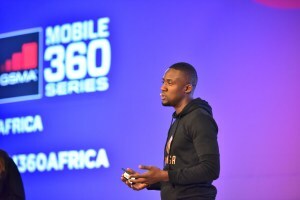 A second major gathering, this time for the eight African start-ups of this second cohort, was our GSMA Mobile 360 – Africa event held in July in Kigali, during which the start-ups had the opportunity to pitch and present in front of leading stakeholders from the continent’s mobile industry. All African start-ups from our Innovation Fund were featured in the new edition of Mobile Economy Sub-Saharan Africa 2018, published at the event. Lastly, these first six months concluded with the publication of our quarterly insights report, ‘Start-ups and Mobile in Emerging Markets: Issue 3’, which featured several of the Round 2 start-ups. Farmcrowdy (Nigeria) – Online platform for individuals and businesses to invest in farming projects. The Lagos-based start-up, which now works with more than 7,000 farmers across nine states in Nigeria, secured $1 million in funding in late December 2017 from investors including Techstars, Cox Ventures and Social Capital (TechCrunch). The agritech start-up also won the Digital Business of the Year Award at the Global African Business Awards held in July (Disrupt Africa). Find out more about Farmcrowdy through these two short videos by leading UK and German TV channels BBC (here) and Deutsche Welle (here). Sehat Kahani (Pakistan) – M-Health services provided by women doctors to marginalised populations through telehealth. In March, the health-tech start-up announced a $340,000 funding round, which included a $100,000 equity investment from Elahi Group of Industries (TechJuice). In the last three years, Sehat Kahani has supported close to 53,000 patients through 15 e-health centres managed by micro-entrepreneurs across the country. 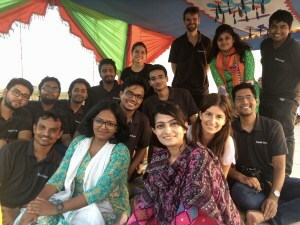 The start-up founded by Dr. Sara Saeed Khurrum and Dr. Iffat Zafar Aga, was recently featured by French TV channel Arte (here) and referenced by Australian Foreign Minister Julie Bishop in June article for Vogue Australia (here). Jamii (Tanzania) – Mobile micro-health insurance product for SMEs and individuals in the informal economy. As of early August 2018, over 7,000 people in Tanzania have been covered by health insurance offered through Jamii, which secured $700,000 equity funding from US-based entrepreneur Patrick Munis (Disrupt Africa). The Tanzanian start-up, in close collaboration with mobile operator Vodacom and Jubilee Insurance, is now rolling out its service nationwide. Find out more about Jamii in the case study published in our latest quarterly insight. Kargo (Myanmar) – Online platform allowing businesses or individuals to request a truck for pickup and delivery services. The logistics start-up and its network of now more than 1,200 truck drivers, were awarded in late June 2018 a $37,000 prize as runner up in Echelon Most Promising Startup Award and best start-up in the vertical, ‘Logistics & Supply Chain’ (e27). The Yangon-based team was also among the 12 finalists of Seedstars World competition after winning the local Myanmar stage (see the video of their pitch here). Joonaak (Cambodia) – Last-mile delivery solution for SMEs and e-commerce merchants. As a result of two due diligence processes that took place simultaneously, the Cambodian mobile operator Smart Axiata – through its CVC investment arm SADIF – and the GSMA Ecosystem Accelerator, ended up co-investing into the Phnom Penh-based start-up in November 2017 (e27) and February 2018 respectively. As of August 2018, with these investments and the support of Cambodia’s second largest mobile operator, Joonaak is processing more than 3,000 packages each month and therefore allowing close to 170 small local merchants to sell online. Find out more about Joonaak in the case study published in our latest quarterly insight. eFishery (Indonesia) – IoT-based smart fish feeding machines for commercial aquaculture. 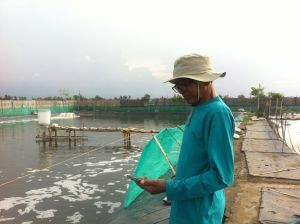 The Bandung-based fish-farming start-up, which equips more than 2,000 fish and shrimp ponds across the country as of August 2018, is among the first four start-ups to join mobile operator Telkomsel’s Innovation Center aimed at creating an advanced IoT ecosystem that could support the creation of commercial products for the community). Through this collaboration, Telkomsel and eFishery will work on the joint development of NB-IoT devices specifically for aquaculture (TINC). Find out more about the story behind eFishery in this article by The Jakarta Post. Tootle (Nepal) – Mobile-based motorbike ride-hailing platform. As of August 2018, around 1,600 rides are being completed by Tootle drivers daily in Nepal. Beyond the rides, the UNCDF MM4P programme and Tootle launched a new project in February 2018 to provide doorstep delivery of financial services through Tootle drivers (UNCDF). 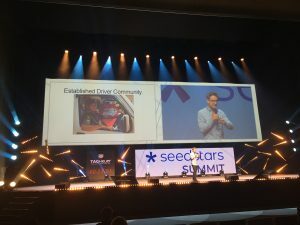 After winning the local stage in Kathmandou, Tootle was also invited by Seedstars World to pitch in the global start-ups competition in Switzerland in April 2018 (Ventureburn). Find out more on how Tootle is impacting its drivers’ lives in this video. Ensibuuko (Uganda) – Cloud-based core banking software customised for savings and credit cooperatives. Since joining the GSMA Ecosystem Accelerator portfolio in February 2018, the Kampala-based fintech has processed close to 2,000 loan transactions per month for its end users, small savings and credit cooperatives. Shortly after the announcement of its selection in our programme, the Ensibuuko team was selected among the 12 fintech start-ups to join the Village Capital Fintech Africa 2018 acceleration programme (Village Capital). Musanga Logistics (Zambia) – Mobile platform to send parcels through a network of independent cyclists, riders and drivers. Between February and July 2018, the number of independent cyclists, riders and drivers on the platform has increased from 25 to close to 110. In June 2018, Musanga’s co-founders were selected among the 29 entrepreneurs to participate in the third cohort of the eFounders Fellowship, an acceleration programme run jointly by eCommerce giant, Alibaba, and the UN-agency UNCTAD. MaTontine (Senegal) – Solution to digitise traditional savings circles (‘tontines’) and facilitate access to credit and financial services. During our market visit in July 2018, we could see the achievements of fintech start-up MaTontine which has now built a community of 1,052 active members – more than 80 per cent of which are women – across five regions of Senegal. After winning the local Seedstars competition and pitching at the global one in April 2018 (GSMA), the MaTontine team was selected in early August among the 10 finalists for the Zambezi Prize for Innovation in Financial Inclusion, a joint initiative by MIT’s Legatum Center for Development and Entrepreneurship and the Mastercard Foundation. Neh Thit (Myanmar) – Low-income jobs digital platform providing job matching, skills training and employer transparency. The jobs platform on a mission to make the Myanmar low-income jobs market more efficient, now counts more than 40,000 users (as of August 2018). In May 2018, Neh Thit founder Conor Smith was selected to pitch his start-up among the eight finalist ventures of the 29 year old MIT $100K Entrepreneurship Competition. Lynk (Kenya) – A digital platform that connects households and businesses with verified domestic workers, artisans and blue-collar professionals. As of August 2018, more than 16,000 jobs have been booked and completed through Lynk’s platform. The start-up, which received funding from mobile operator Safaricom in September 2017 (here), was featured at length in the leading French-language and Africa-focused magazine, Jeune Afrique in March 2018. A few days before writing this blog post, Lynk had also been selected among the nine finalists of the MIT Inclusive Innovation Challenge. Field Buzz (Bangladesh) – Mobile software to manage last-mile distribution and operations efficiently. The Dhaka-based team has built a platform that now (as of August 2018) processes around 600,000 transactions per months across all its projects, a figure that doubled since December 2017. The start-up, which broke even in late 2017 three years after its launch, was featured in an early August 2018 detailed article in national newspaper, Dhaka Tribune. A blog post published in February 2018 by the GSMA mAgri team also shows how Field Buzz solutions are being used well beyond Bangladesh borders. SudPay (Senegal) – Mobile solution for small merchants to pay local taxes to municipal authorities transparently. As mentioned in a blog post following our market visit in July 2018, seven municipalities have already signed up for SudPay’s ‘Townpay’ service, three of which have gone live. The Dakar-based team, which pursues the goal of rolling out its solution nationwide, was interviewed in a June 2018 article in Jeune Afrique. LipaMobile (Uganda) – virtual school management system for students, parents, teachers and school administrators. As of August 2018, LipaMobile’s solution is deployed in more than 50 schools in Uganda. With the objective of providing a clearer ‘one-stop-shop’ solution to its users, in July 2018, LipaMobile has undergone a rebranding exercise and selected the name, ‘Xuldime’ for its platform. *DFAT support was limited to innovations in the Asia-Pacific. While our work with these fifteen start-ups continues (as well as with some of our initial nine start-ups of the Round 1), we are also currently selecting the start-ups that will be part of the third round of the Ecosystem Accelerator Innovation Fund. Stay tuned for the new portfolio announcement towards the end of 2018.